The GVJCI has early beginnings that date back to 1912 when it was founded as the Moneta Gakuen, a Japanese language school. 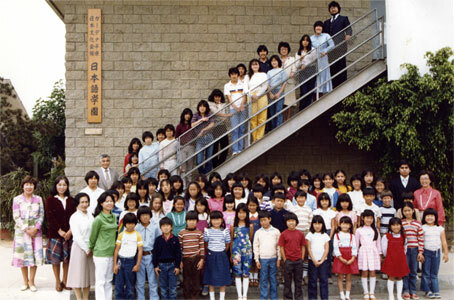 Having survived through World War II, it was formally established as the Gardena Valley Japanese Language School in 1967. 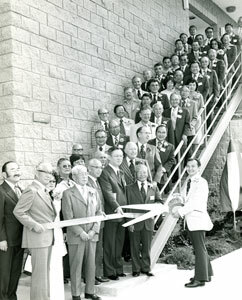 Then in 1968, the name was changed to the Gardena Valley Japanese Cultural Institute to incorporate the broader services and function of the organization. The majority of our weekday daytime programs are dedicated to the seniors in the community. An average of 200 seniors participate everyday in a wide variety of activities which include arts and crafts, physical fitness, recreational games, dance, music and educational and health classes. The GVJCI administers a bento (Japanese box lunch) program providing close to 50 bentos for 60 to over 100 seniors each weekday catered by Island Eats Cafe. All of these programs seek to meet the needs of every senior participant, from the seasoned elderly to newly retired seniors looking for stimulating, vigorous activities. The GVJCI is very grateful for this large group of seniors as the majority of our volunteer base comes from this active and vital support group. As both a cultural and community center for all ages, the GVJCI sponsors and houses many community activities ranging from martial arts to youth sports to local Scouting programs. Throughout the week, various martial arts dojos utilize the space provided by the GVJCI. On Saturdays, the GVJCI Japanese Language School holds classes for both children and adults who are looking to learn the Japanese language in a fun environment with cultural activities. During the summer, the GVJCI, in conjunction with the South Bay chapter of the Japanese American Citizen’s League, puts on a week-long youth fun camp known as TANOSHII Fun Camp during which elementary school kids learn about their Japanese American heritage and values through hands-on activities, cultural demonstrations, and lessons from cultural and community leaders.